In 1862 Charles Lutwidge Dodgson, a shy Oxford mathematician with a stammer, created a story about a little girl tumbling down a rabbit hole. 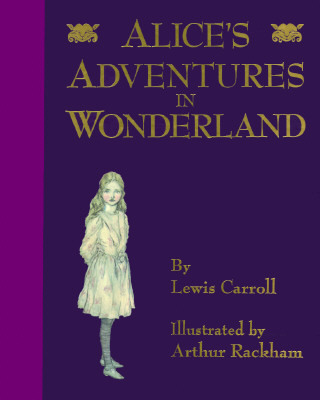 Thus began the immortal adventures of Alice, perhaps the most popular heroine in English literature. Countless scholars have tried to define the charm of the "Alice "books-with those wonderfully eccentric characters the Queen of Hearts, Tweedledum, and Tweedledee, the Cheshire Cat, Mock Turtle, the Mad Hatter "et al.-"by proclaiming that they really comprise a satire on language, a political allegory, a parody of Victorian children's literature, even a reflection of contemporary ecclesiastical history. Perhaps, as Dodgson might have said, "Alice "is no more than a dream, a fairy tale about the trials and tribulations of growing up-or down, or all turned round-as seen through the expert eyes of a child.